Sly dropped his new album today. And it is a killer. The new tracks could be teasers for more such brilliance to come. Yikes. The new cuts have sprirt. And gospel. Sly's "His Eye Is On The Sparrow" marks his entry into gospel. Okay, "Que Sera Sera" was gospel in tone. But it wasn't intended to be a gospel tune. Elvis copied Sly's studded jump suit, buckle and sideburns, Sly is following the King into the gospel arena. Michael never got a chance to go gospel. But maybe there are some hidden tracks somewhere. 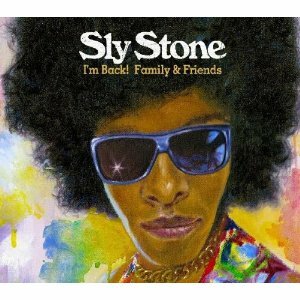 Regardless, Sly left no musical STONE unturned during the entirety of his career. Some might question his down period, but nobody can question his musical genius and production - - both onstage live and in the studio.